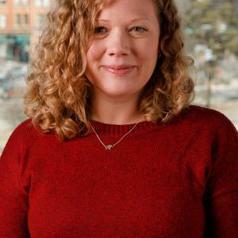 Stephanie Chamberlin is a PhD student in Health and Behavioral Sciences at the University of Colorado Denver. Her research focuses on the intersection of education and family health, primarily in sub-Saharan Africa and Latin America. Stephanie’s current work explores: a. strategies that families in low resource settings use to manage their health care; and b. how literacy, numeracy, and years of education differentially influence health. She has over 12 years of experience in global health, focusing on HIV and maternal health program evaluation and research. She has worked with the Tsogolo La Thanzi study, Partners in Hope in Malawi, the Clinton Health Access Initiative in Lesotho, the New York City Department of Health and Mental Hygiene, and the International Planned Parenthood Federation-Western Hemisphere Region. Stephanie has a passion for teaching and has designed and taught courses on Global HIV and Research Methods. Stephanie received Master of International Affairs and Master of Public Health degrees from Columbia University, with concentrations in Economic and Political Development and Health Promotion.